How Can a Child Support Order Affect My Personal Injury Settlement? 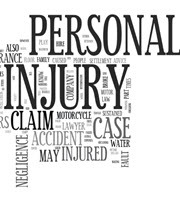 Many personal injury claims are settled out of court. A settlement agreement is a legally binding contract between the parties. So once you sign an agreement you generally cannot back out of it, and the other party has the right to seek enforcement of the deal in court, even if you later believe the settlement is unfair. If your personal injury settlement involves the federal government, you also need to be aware of how certain debt collection laws may reduce the amount of money you actually receive. This was an issue in a recent federal lawsuit here in Tennessee. The victim thought he was receiving $10,000 from a personal injury settlement, but ended up getting just one dollar. Here is what happened. The plaintiff was in a car accident with a vehicle driven by an agent working for the Bureau of Alcohol, Tobacco, and Firearms (ATF). Since the ATF is a federal agency, the plaintiff sued the United States government under the Federal Tort Claims Act (FTCA). The FTCA waives the government’s sovereign immunity and allows agencies to be sued and face liability under Tennessee tort law. In this case the plaintiff agreed to a settlement with the ATF. In exchange for releasing all of his legal claims arising from the accident, the government agreed to pay $10,000. The parties signed their agreement in January 2017. But under federal law, the settlement payment was first routed through the Treasury Offset Program (TOP). The TOP is essentially a federal database containing all debts owed by individuals to federal and state agencies. This includes court-ordered child support payments. The plaintiff here owed back child support, which was reported to the TOP. Accordingly, TOP reduced the amount of the plaintiff’s personal injury settlement by $9,999 and then “transferred one dollar” to his attorney as payment in full under the agreement. The plaintiff then refused to dismiss his lawsuit as required by the settlement agreement. While a personal injury settlement often represents the best possible outcome for victims, it is still important to weigh all of the risks and rewards before signing a final agreement. Judges will not allow you to renege on a signed deal just because you were not fully aware of the consequences. An experienced Knoxville personal injury lawyer can advise you on when it is best to settle, and when it makes sense to litigate. Contact the offices of Fox & Farley, Attorneys at Law, at 866-862-4855 today if you need advice regarding any personal injury matter.